What is motion? Why is every snowflake different? Why is life symmetrical? 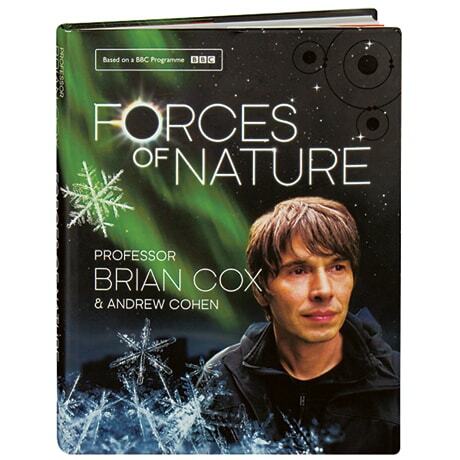 Beautifully illustrated with page-filling images of everything from distant galactic clusters to the glassy crystal strands of a single snowflake, this companion volume to Brian Cox's wildly popular BBC television series explores some of the most extraordinary natural events on earth, across the universe, and beyond. Cox, a highly regarded particle physicist and a researcher on the ATLAS experiment at the Large Hadron Collider in Switzerland, takes a refreshingly conversational approach as he conducts readers to the great plains of the Serengeti and the volcanoes of Indonesia, the humpback whales of the Caribbean and the northern lights of the Arctic.